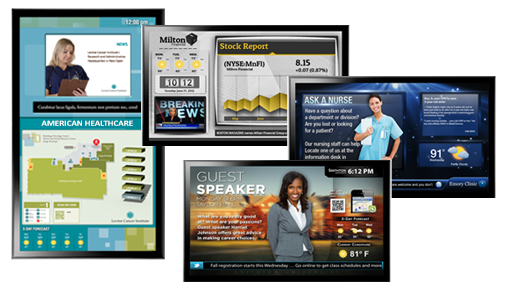 Digital signage is the modern version of posters, banner and billboards. These signs off a cost effective and flexible alternative. The content is simple to update and can even be done remotely, there is no more need to wait or pay for printing or installation.